Theater in the Now: Could a Larry David/Jerry Seinfeld Collaboration Appear on Broadway? 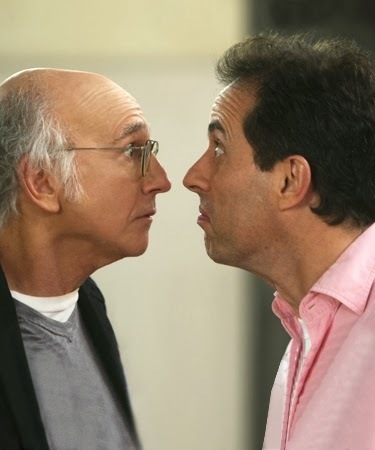 Could a Larry David/Jerry Seinfeld Collaboration Appear on Broadway? According to a Reddit "Ask Me Anything" interview, Jerry Seinfeld revealed that a "big, huge, gigantic" secret project is in the works with Larry David. That project is a play written by David which will Seinfeld will star, direct, or produce. Though no word on what exactly the play is or any timeline, it is rumored to be a priority for David.